Nutube.US is an authorized, independent distributor of the Korg Nutube. 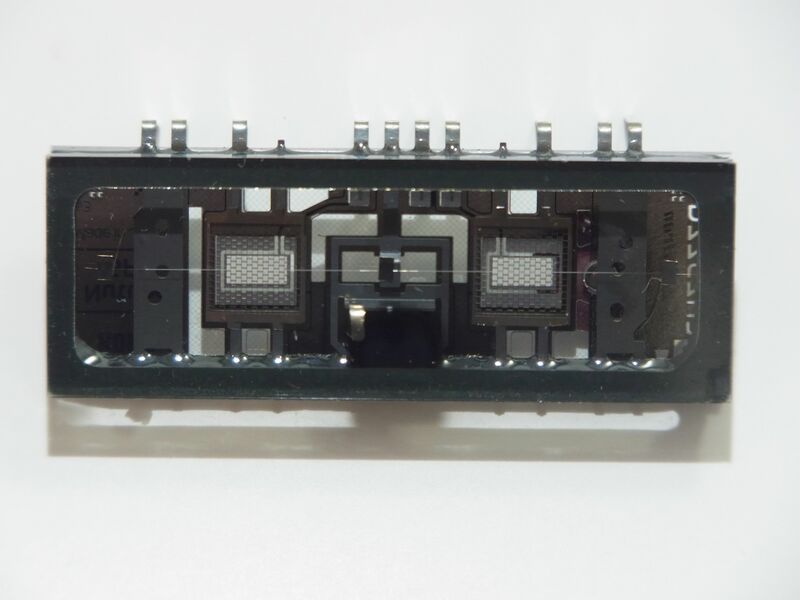 We also design and manufacture evaluation hardware and other products for the Nutube. 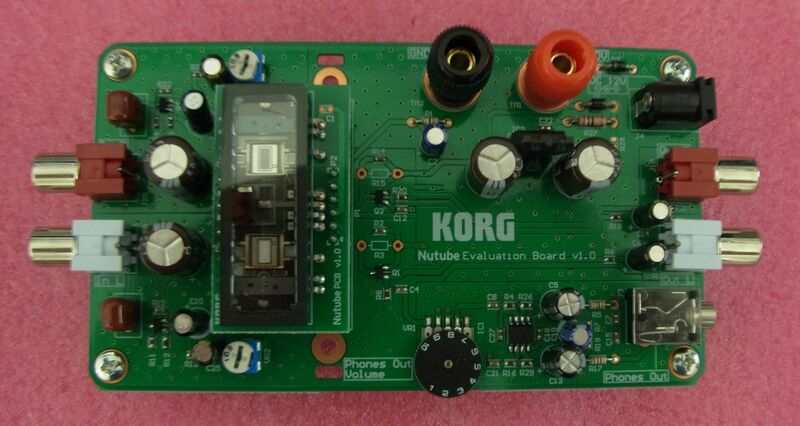 For additional information about the Nutube, please visit www.korgnutube.com. 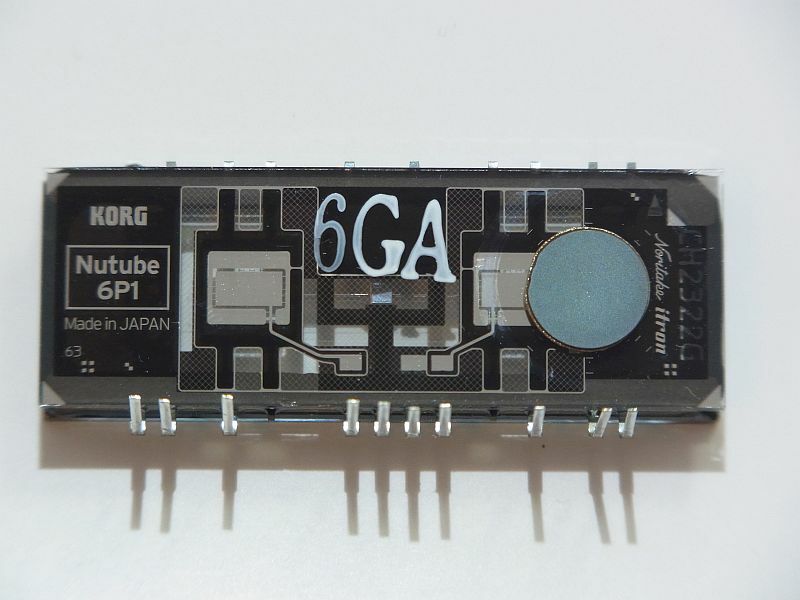 The Korg Nutube 6P1 is a newly developed, low-power directly heated dual triode vacuum tube. It was developed by Korg, the musical instrument maker, and Noritake, a manufacturer of vacuum fluorescent displays, in Japan. Nutube.US is now making the Nutube 6P1 available for purchase in small quantities to experimenters, DIY'ers, and small OEMs! New! 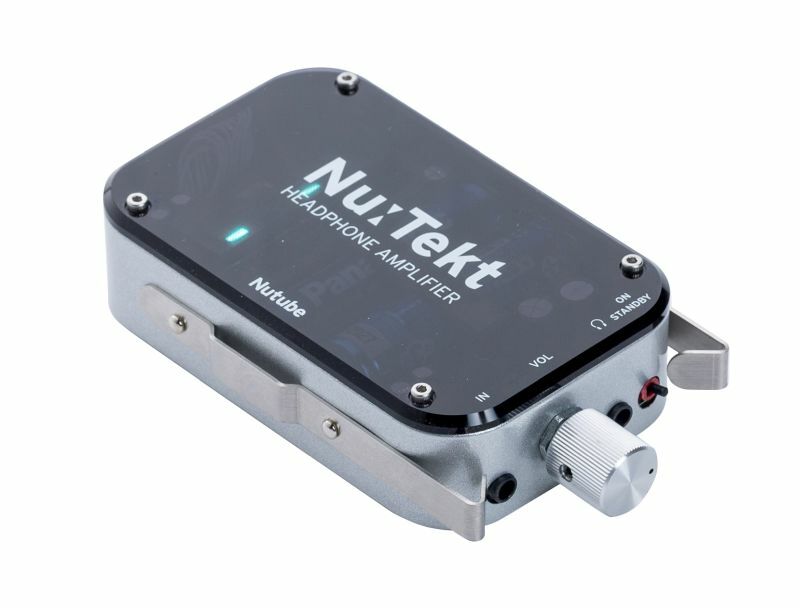 The Nu:Tekt HA-Kit headphone amp kit from Korg! This is the official evaluation board for the 6P1, made by Korg It includes a Nutube 6P1 mounted on a carrier PCB. This board provides a convenient way to mount the 6P1, either to a chassis, or to a standard 0.100" centers perfboard for easy prototyping. 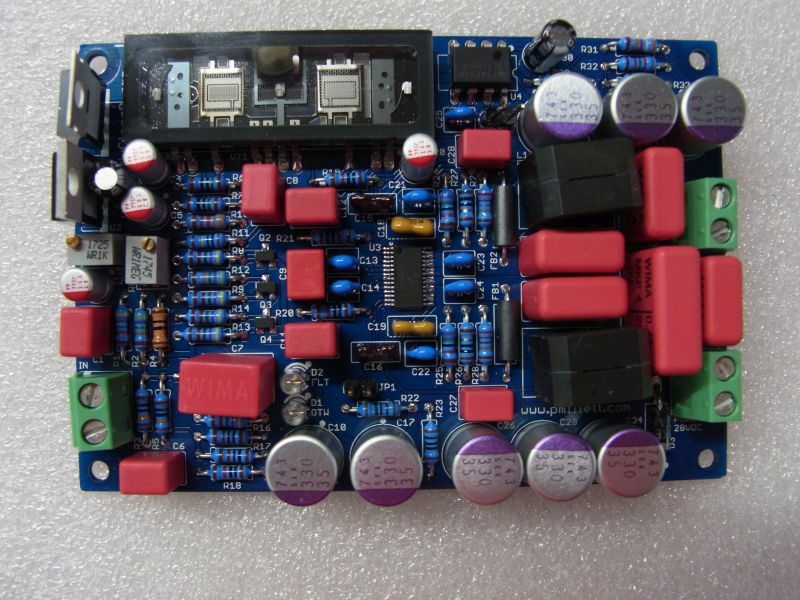 This is supplied as a bare PCB without the 6P1 installed. 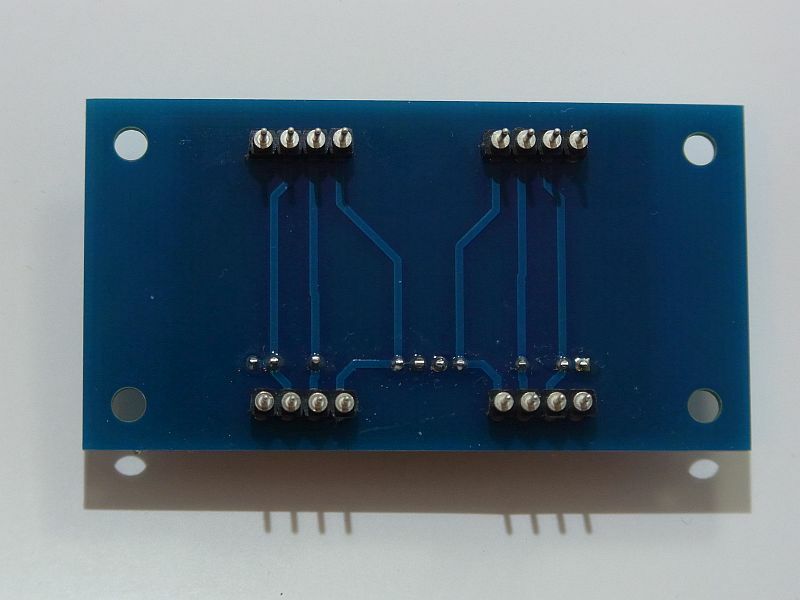 This is the carrier board shown above, with a 6P1 and pin headers (the type that mate with IC sockets) installed. 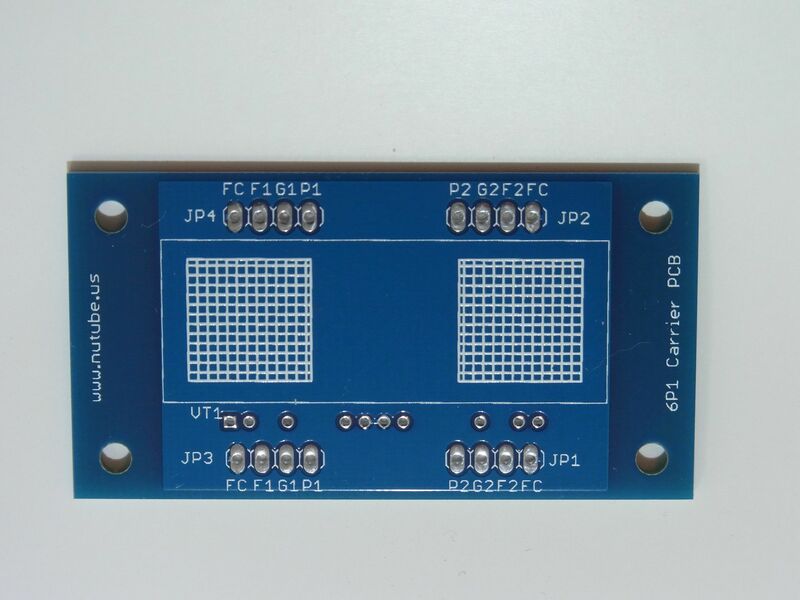 This is the same as the carrier that ships on the evaluation board, if you need an extra. These can also be supplied with 0.025" square headers, or with no headers at all, on request. 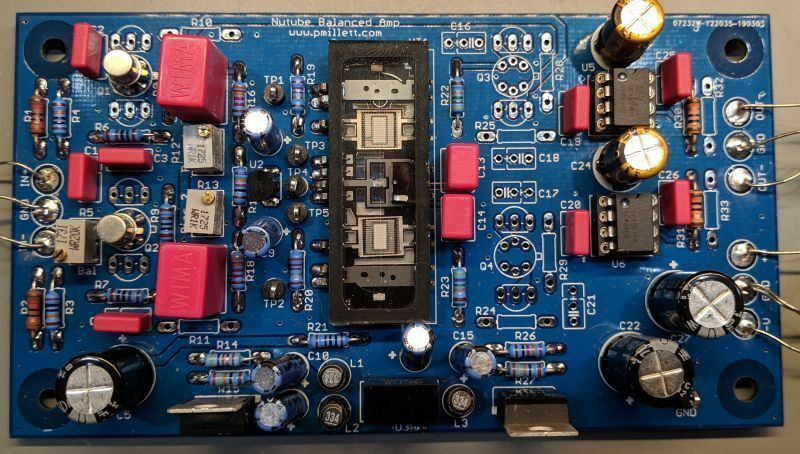 A truly differential balanced amp circuit using the Nutiube. More details at pmillett.com. 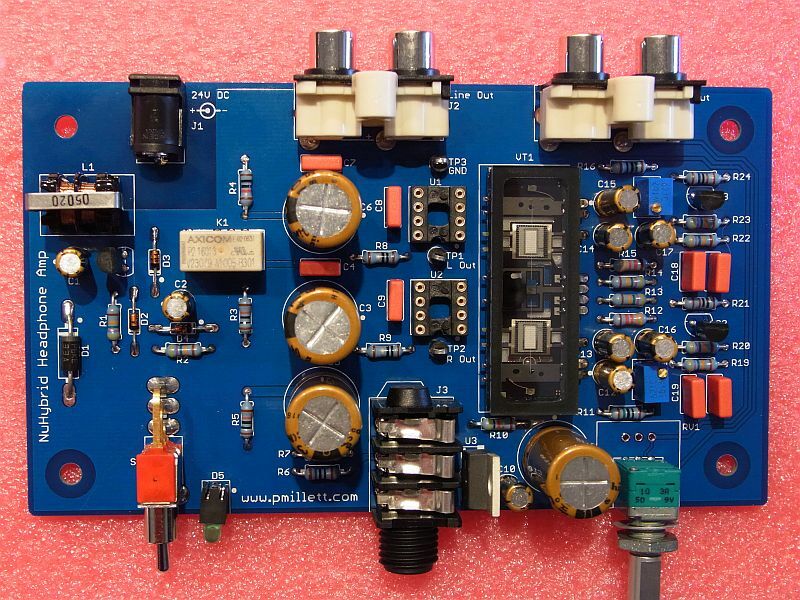 A 50 watt class-D hybid speaker amp using the Nutube. More details at pmillett.com. 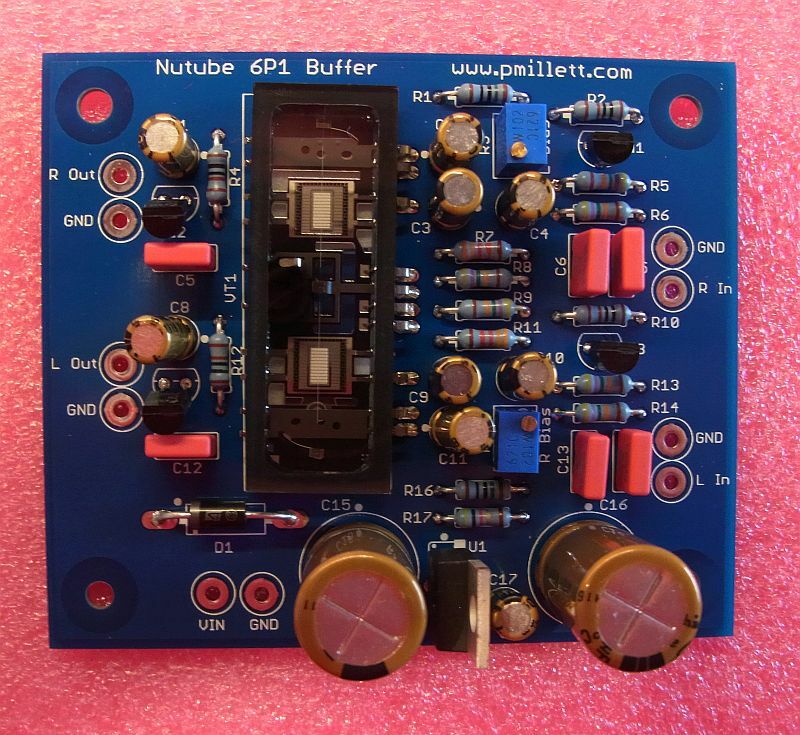 An easy DIY headphone amplifier using the Nutube. More details at pmillett.com. 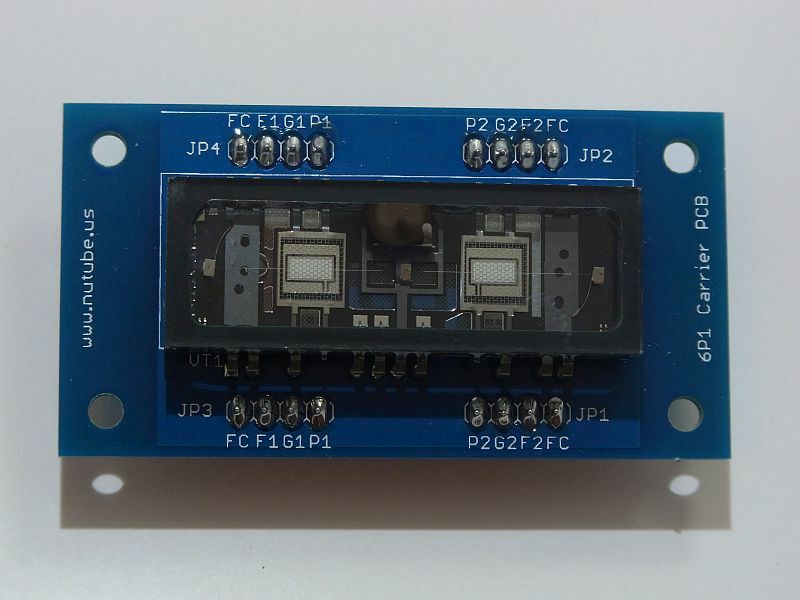 A simple stereo buffer using the Nutube. Details at pmillett.com.